This disturbing mystery starts off a bit slow, but it picks up some steam as it goes. The story does have some twists and turns, some you may see coming and some you may not. The 2 audio narrators are a talented pair. 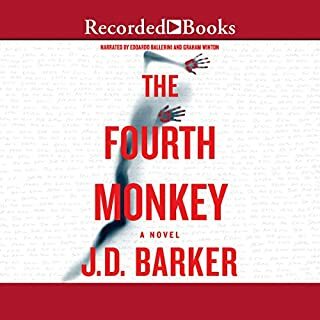 It’s a pretty good audiobook that sets up book # 2 in this series. I'm in no rush to get to book # 2, but I'll probably listen to it one day. First off, An American Marriage is a high quality audiobook. 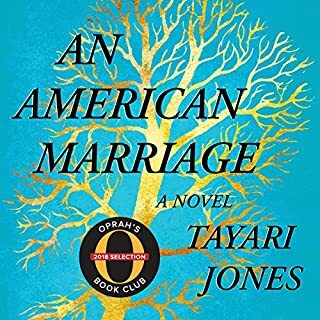 Like many other novels, it deals in love and loss, focusing on the institution of marriage as well as literal institutions - prison. Narrators are supposed to enhance the story, and if they do, the end product can be better than the novel alone. That is exactly what happens here. Sean Crisden is a better narrator than Eisa Davis, which works for this novel because Crisden has a much larger role. I've heard this novel mentioned as a possible Pulitzer nominee. If it doesn't win, it should at least be considered. For some reason, I wasn't expecting much, but I was pleasantly surprised. This is a great audiobook. 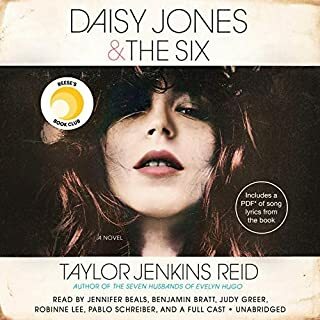 At times, this audiobook reminded me of John Irving's A Prayer for Owen Meany. However, where Owen Meany is vast and expansive, Sam Hell is limited and predictable. 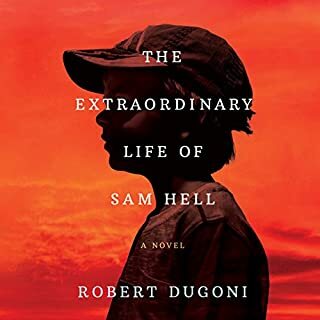 That being said, The Extraordinary Life of Sam Hell is still pretty good. The novel deals in familiar themes: prejudice, racism, love, and religion. Every twist or turn in the book can be seen from a mile away, but the story is still engaging. Dugoni does a great job of reading his own work. He's a talented narrator. Although this novel is not of the caliber of Irving's A Prayer of Owen Meany, it did remind me of it, and that in itself is a compliment. This isn't the greatest book ever written, but it is good, and it kept my attention for the entire 11+ hours. It goes on a little longer than necessary and loses a little steam, but overall it's an above average audiobook. I never write a review unless I finish a book because I believe it to be unfair to the author and narrator. However, after 10+ hours of audio, I can't see myself continuing with another 14 hours. I've seen some refer to this novel as an "African Game of Thrones," but I don't see the resemblance. I usually like long and complicated works, but not this time. I'm a fan of the narrator, Dion Graham. I've listened to several of his performances, including Washington Black, The Force, and American War. However, his accent is so thick in this performance that the listener has to focus on every word to understand it, and even then, some parts I miss. I get why the accent is used, and it gets a little easier to understand as you get used to it, but I'm just tired of this novel.....for now. There's so many character names and names of places, and it's hard to know what's happening half the time. The novel has its moments, but they are too spread out. I will pick this one back up at some point and try to finish the remaining 14 hours, but for now, I need a break from it. I will revise this review upon completion of the book. 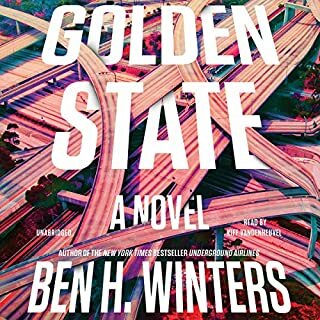 In this audiobook it is a felony to tell a lie, so in the spirit of truth I must say that Golden State was a bit of a disappointment. I was looking forward to this release because I really liked Winters' last novel, Underground Airlines. Golden State has its moments, but there are not many of them, and it just wasn't all that engaging. The idea was okay. The story was okay, and the narrator was okay. Overall, it was just okay. It's the summer of 1922, and 19-year-old Paulien Mertens finds herself in Paris - broke, disowned, and completely alone. Everyone in Belgium, including her own family, believes she stole millions in a sophisticated con game perpetrated by her then-fiance, George Everard. To protect herself from the law and the wrath of those who lost everything, she creates a new identity, a Frenchwoman named Vivienne Gregsby, and sets out to recover her father's art collection, prove her innocence - and exact revenge on George. I've learned much of what I know about art history from fiction novels. This is the second audiobook I've listened to by B.A. Shapiro. Obviously, she is very knowledgeable when it comes to art and art history. 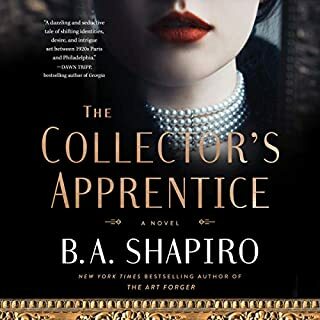 The Art Forger is my favorite novel by her, but The Collector's Apprentice is also a good read/listen. XE Sands narrates both novels, and she does an good job in each instance. If you like art and you like fiction, it would be hard not to like this author's work. Where the Crawdads Sing is a literary-type mystery novel. 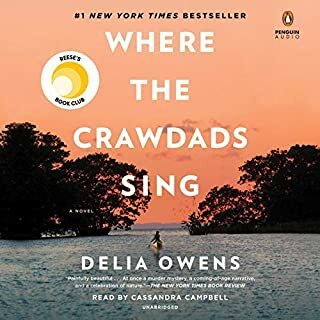 Delia Owens does a fantastic job with the setting that places the reader right in the marshland with the protagonist, Kya. The novel is the tragic story of girl who is abandoned at a young age, but the story is also one of redemption. Cassandra Campbell is a great narrator, though maybe not the best choice for portraying southern accents. Still, I love her voice, and I liked this novel. When Andrei Kaplan’s older brother, Dima, insists that Andrei return to Moscow to care for their ailing grandmother, Andrei must take stock of his life in New York. His girlfriend has stopped returning his text messages. His dissertation adviser is dubious about his job prospects. It’s the summer of 2008, and his bank account is running dangerously low. Perhaps a few months in Moscow are just what he needs. So Andrei sublets his room in Brooklyn and moves into the apartment that Stalin himself had given his grandmother, a woman who has outlived her husband and most of her friends. This audiobook takes awhile to get going. Ari Fliako's narration keeps the story engaging despite its slow start, and after a few hours, I really liked it. I didn't realize how much I liked it until it was almost over. 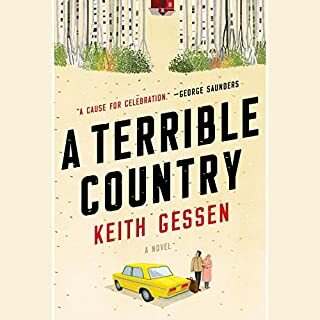 Gessen paints a picture of everyday life in modern day Russia, and while this doesn't sound all that appealing, it is well worth a credit. 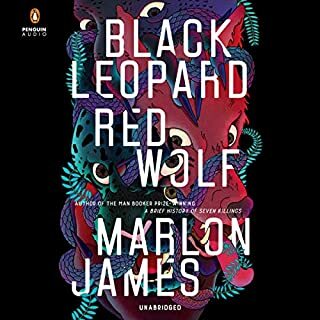 I found myself finishing this one fairly quickly, and it was a good audiobook to begin 2019. Stories about art forgeries and stolen paintings make some of the best novels. These types of novels could be classified as a sub-genre of fiction. Any time I read or listen to a novel about stolen art I’m reminded of Donna Tartt’s The Goldfinch. 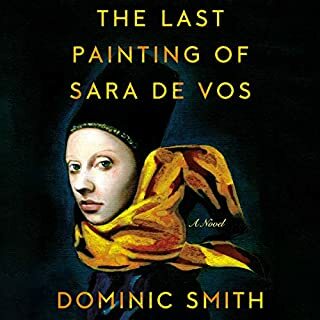 While The Last Painting of Sara De Vos isn’t that caliber of an audiobook (very few, if any, are), it’s still quite good. The narrator of this audiobook is one of the best.